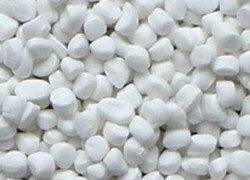 Leading Manufacturer of sodium transparent filler master batch from Ahmedabad. TRANSPARENT FILLER MASTER BATCH COMPOUNDS IS BASED OF SODIUM SULFATE Na2SO4 PRODUCE FOR ALL HDPE FILMS,LDPE FILMS,PE APPLICATION,PP SHEET/BOARDS AND INJECTION MOUDING PRODUCTS. IT CAN GREATLY REDUCE THE PRODUCT COST AND HAS LITTLE EFFECT ON THE TRANSPARENCY AND OTHER PERFORMANCE OF THE FINAL PRODUCTS. THE PRODUCTS MADE WITH IT IS JUST LOOKS AS SAME AS THAT WITH VERGINE POLYMERS WITHOUT DISTURBING TRANSPARENCY OF PRODUCTS.